An “Eclipse Frenzy” has taken hold of North America and today is the long-awaited day where millions will look to the sky in amazement of this natural phenomenon. Therefore, it seems the perfect time to hop on the bandwagon and find some way to correlate a total solar eclipse to my work as CEO of the Jack Welch Management Institute. 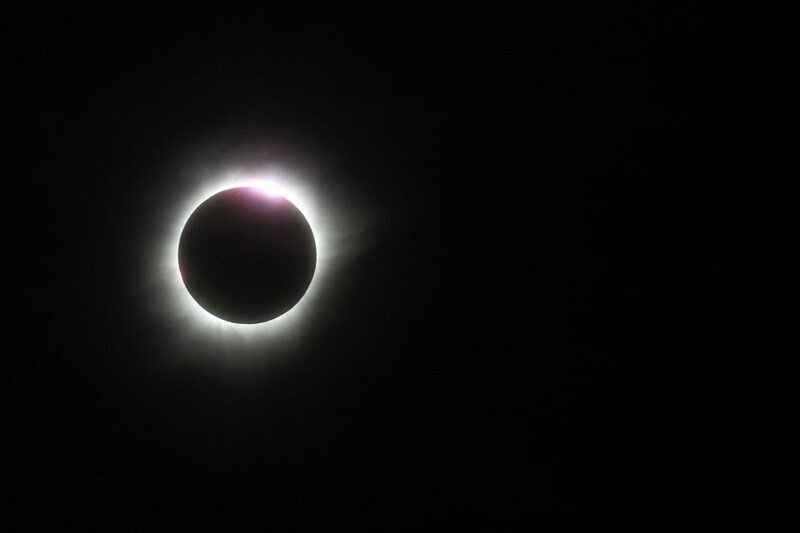 While many business articles on the solar eclipse topic may tend to go dark, like a discussion about the decrease of a worker’s productivity during the event, I decided to take a more light-hearted, hopefully helpful, view of the topic. Every leader will go through dark days, days where you have to manage through a crisis, but how you deal with the problem is the real test of leadership. As Warren Buffett shared with Jack Welch and our students recently, the key to managing a crisis is “Get it right, get it fast, get it out, get it over.” Deal with the problem quickly and efficiently so that the totality of your eclipse remains a momentary learning opportunity and not a full extinction-level event. Companies thrive when you find the best employees for each position, but finding the best players and making your team the place to be takes work. Winning teams align around a shared vision of success. So get them excited about the company, position, job, and team and your squad will be the place where people get promoted and where everyone will want to work. While the Sun and the Moon will appear to be the same size during the eclipse, the Sun is actually about 400 times wider than the Moon, but about 400 times farther away as well. Creating a culture of candor is important in an organization. Primarily done through a frequent review process, candor helps employees understand where they stand in relation to your expectations and the rest of the team or company. And, while everyone wants to be a top performer, the brightest star so to speak, not everyone will be in that category. As a leader, it is your job to be open with your employees so you can work to grow the middle 70% and share feedback with the bottom 10%. Staring at the sun will cause permanent damage to your eyesight. Likewise, a singular focus on only short-term or long-term goals will ruin your business. As a leader, it is important to “eat and dream” simultaneously. You must deliver both on the short-term results while also creating the plan for the future. The vision to see both near and far, to build a team that executes while still developing talent, to balance the demand for quarterly results with the pressure for a profitable future is what defines a great leader. Grab your eclipse glasses, wrangle your team and head out to celebrate this event. Don’t worry about the lack of productivity in the office for those 23 minutes, if you follow these leadership principals, your team has earned a well-deserved break and will make up for it no time. the skill we need to have to get there.